If you are willing to declare the unaccounted income under the new Pradhan Mantri Garib Yojana is very easy and to that you need to follow three steps and these steps are mentioned by the bills passed in the Taxation Laws Bill which was declared in the second amendment in the year 2016. It is not possible for the people who have already made the money through the illegal ways. Now, to prevent these amounts they are trying to hide it for their benefits but with the change in currencies these people came in to serious problems and they had to come out with the unaccounted amount but they are charged with serious taxation policies. Declaring about the deposits and cash – The declaration should be made as per the amount that one is having which may be accounted or unaccounted. The deposits should be made in the Reserve Bank of India or in any other recognized bank. Then this amount will be collected by the bank and it will be transferred for modification into new notes. Pay taxes and make the deposit – the person suppose to pay the tax of 30% on the income apart from that he or she has to pay 33% as the surcharge tax and 10% penalty on the overall income. This will total to almost 50% of the total income will collected for the government fund. The person is also compelled to pay 25% of the total declared amount into Pradhan Mantri Garib Kalyan Yojana 2016. The deposit that the people is making will be blocked for time span of four years and after that it will be given back without any interest to it. Declaration should be made with payment and deposit proof – After fulfilling the above steps, it becomes essential for the people to file a form and then he or she should verify it using the rules and regulation prescribed by the government. The declaration will also be submitted with proper evidence. After such procedure, if one is found to have the unaccounted money with they then or she will be charged with higher tax. 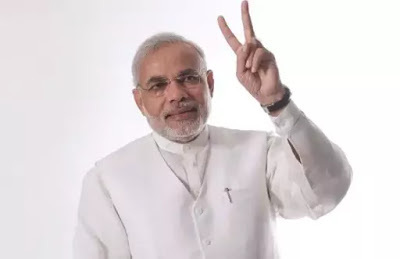 If one is disclosing the entire amount that he has undisclosed so far in front of the government then he or she is liable to pay taxation and investment regime for Pradhan Mantri Garib Kalyan Yojana 2016. In which he or she is suppose to pay 30% of the undisclosed amount and penalty as the 10% of undisclosed amount and apart from all these he or she has to pay 33% taxation for the Pradhan Mantri Garib Kalyan Cess’. This could total up to 50% of the total balance. In case if someone is holding the undisclosed amount and he or she is not declaring it then there is a chance of getting caught during the investigation. If someone is caught to have the undeclared amount then he or she is liable to pay flat 605 on the total amount and apart from that he or she should pay 25% (15%) tax for surcharge which may account up to 75% of the total amount and after that 10% will be charged as penalty. Therefore if you are trying to hide the undisclosed amount then you may have to be paying for more than 75% of the total amount that you are trying to hide. The taxation polices in the year 2016 has made a revolution and the people with lot of unaccounted money has to suffer for it. The decision is a Step towards the development of the nation and equal distribution of income among every people of this nation. After the implementation of demonetization, the central government announced another scheme that gave people with black money a chance to come forward. The name of this scheme is Pradhan Mantri Garib Kalyan Yojana. But recently, the central authorities instructed government employees not to divulge any details about the PMGKY. This scheme states that in case black money holders come forward, and disclose their holding, they will be able to get respite, after paying 30% tax, 33% surcharge and 10% penalty. Non-disclosure of information will help the central government to monitor the implementation of PMGKY, and bring the axe down on the perpetrators. Sir, I m a Graduate unemployed poor boy. I have no money to bribe for Assam state government job.I need govt job for improve me and my family .so How its help from above scheme. Sir.mera nam Rakesh Kumar das he me odisa bhubaneswar se bolrahahu mujhe please eke Lon diladijia meynee bahut cosish ki he lekin sir mujhe kuch bhi nahimila mene bahut cast carke ek chicken dukan diahe lekin koibhi bank Lon nahideraha odisa ka minister Mr Navin patnayak jise bhi Milne ki cosish bekar raha to me kyaa karu garibi sabse kharaphe me jindagi ijatse jina chatahu sir ap Mahan he mujhe ek Lon dilbadijiye please me jibanbhar apka abhari rahunga .mera bhabisho ab ap ke hatme Mr. Narend modi ji jay hind. my father has been expire and i am not able to expence my family basic requirements. i am graduate and cse diploma holder. Amar me ek garib ghar ka larka hu koi kam nehi he. Me ek bangali larka mereliye kuch kijiye.